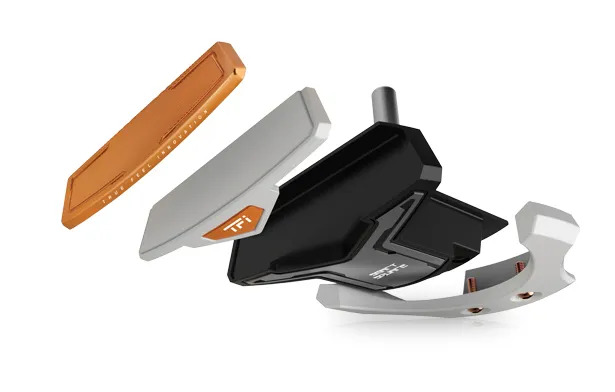 Your putting stoke and address position are unique and setting up perfectly over the ball every time is nearly impossible, but the TFi Blade Putters makes it much easier. 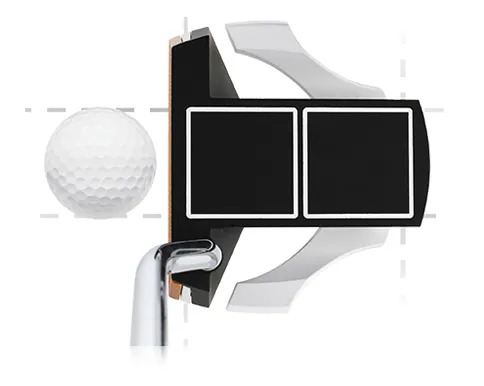 The alignment line has been raised to 21.35mm, the exact radius of a golf ball, so that no matter how you setup over the ball your putter is aligned for a centre strike. Sound too good to be true? Come and see for yourself. 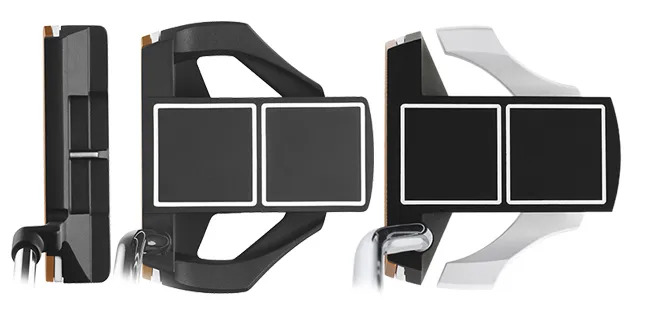 The two bright white squares on the TFi Mallet and Tour Putters form a set of perpendicular lines that make up the Dual Axis Alignment system. These Smart Squares frame the ball at address making it easier to assess whether or not you’re aligned square to your target. It’s a simple yet effective addition, come and try it out. The dual face inserts of milled copper and copolymer improve the sound and feel at impact for more consistent ball striking across the entire face. The smooth feel at impact is complimented by a boosted MOI that resists twisting during off-centre strikes for more consistent roll and distance control. 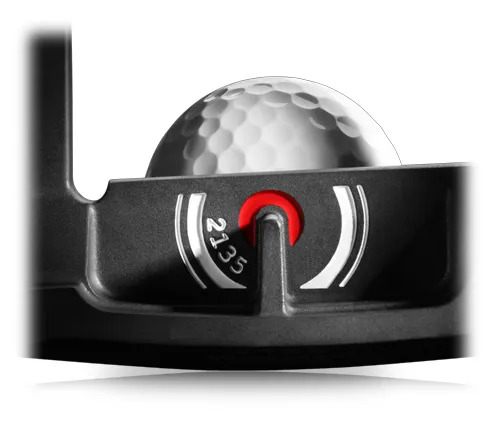 Regardless of which model TFi Putter you choose, you’re getting easier, quicker, more accurate alignment. A solid green reading and putting technique is only part of the job, if you’re not aligning yourself properly you’re missing out. 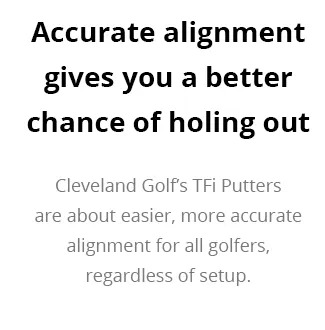 Come in and try out Cleveland’s TFi Putters for yourself and we’ll get you fitted for best results.